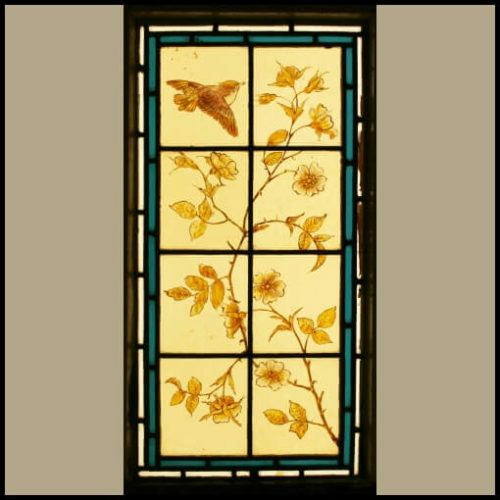 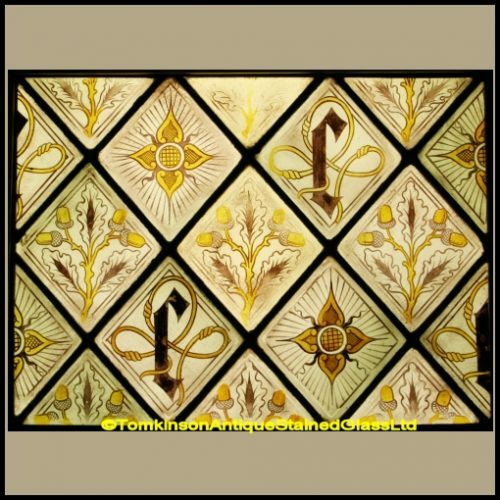 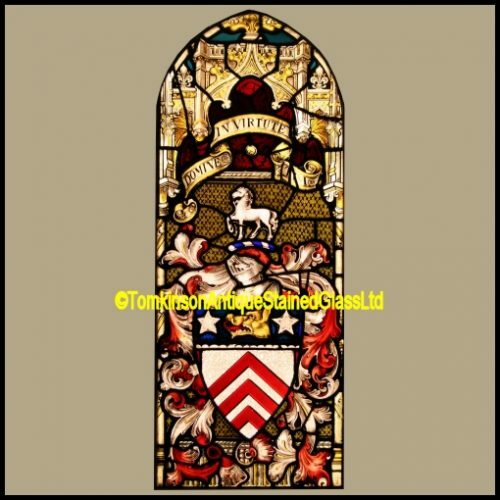 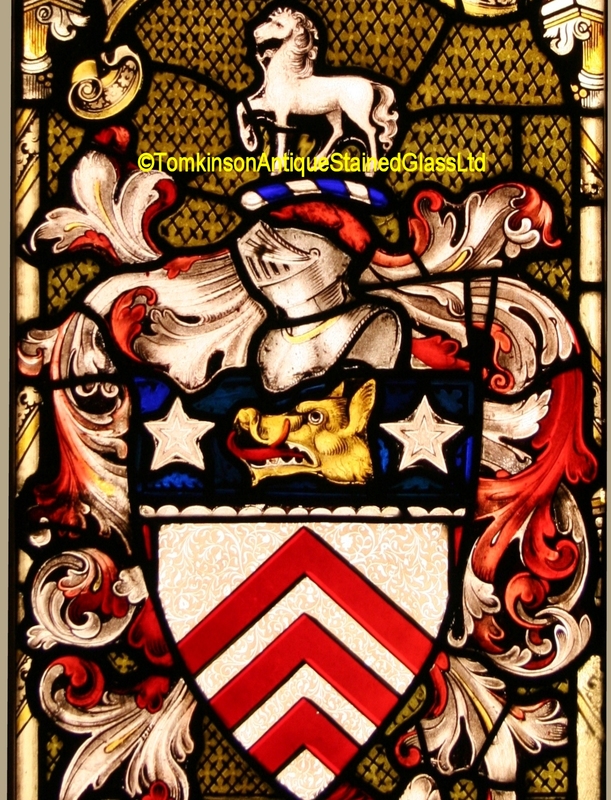 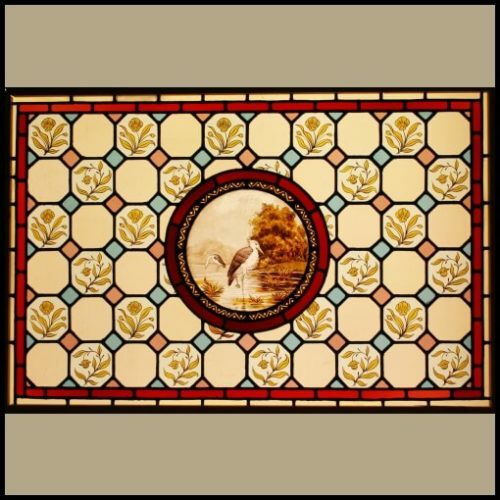 Antique Victorian leaded stained glass lancet window, hand painted depicting a central coats of arms shield. 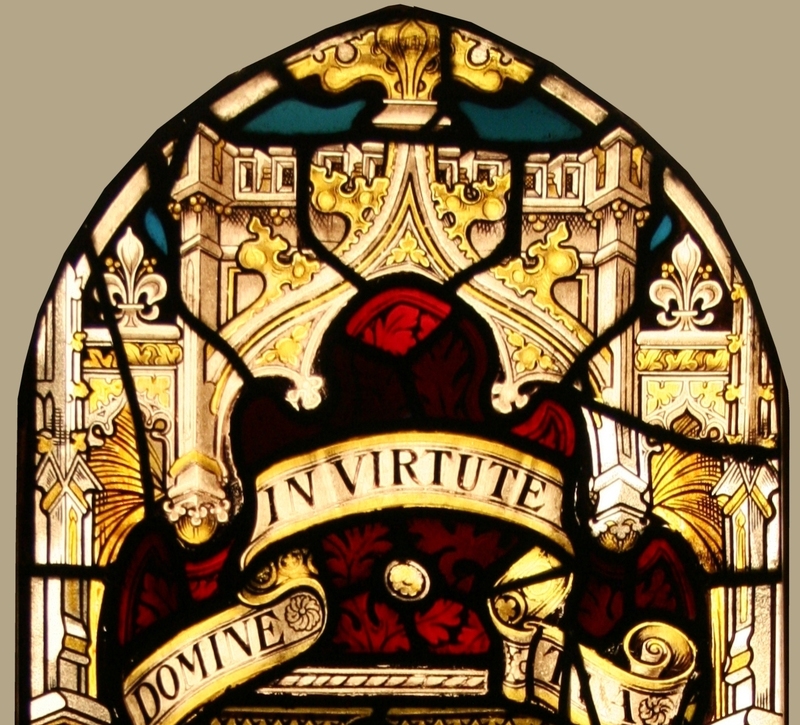 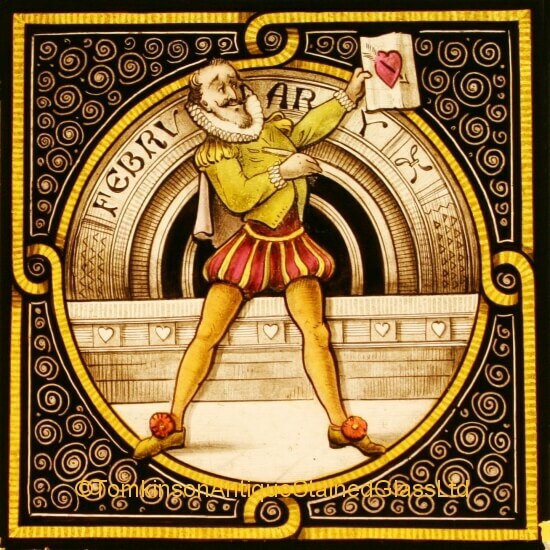 Above is a scroll inscribed “Domine In Virtute Tua” – Lord In Thy Strength. 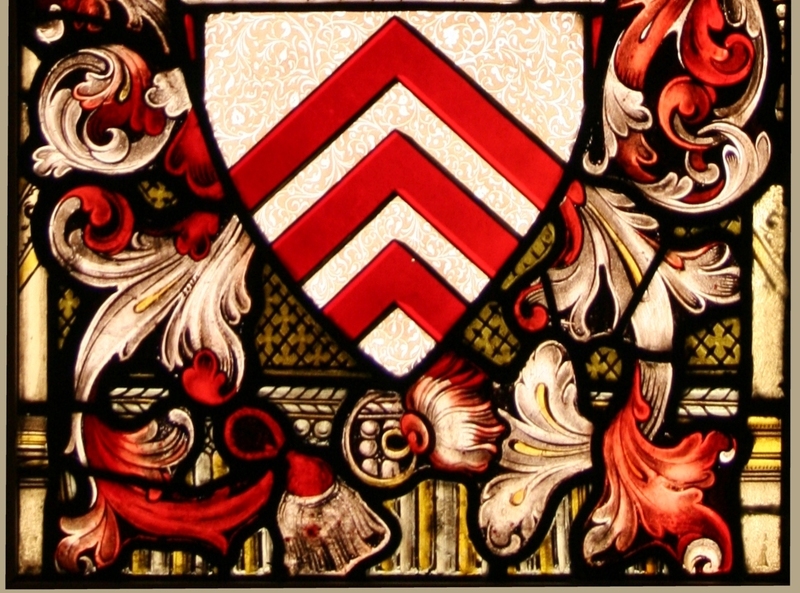 The armorial is set within a church spires. 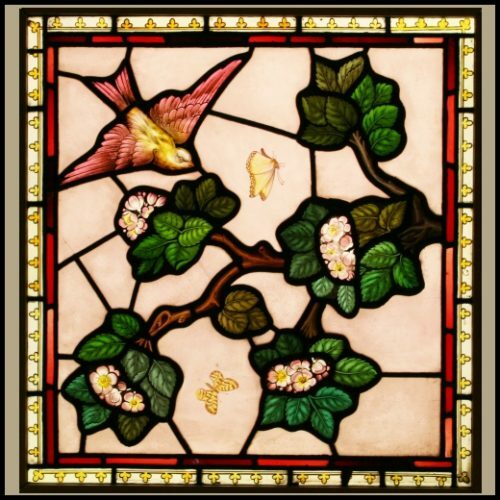 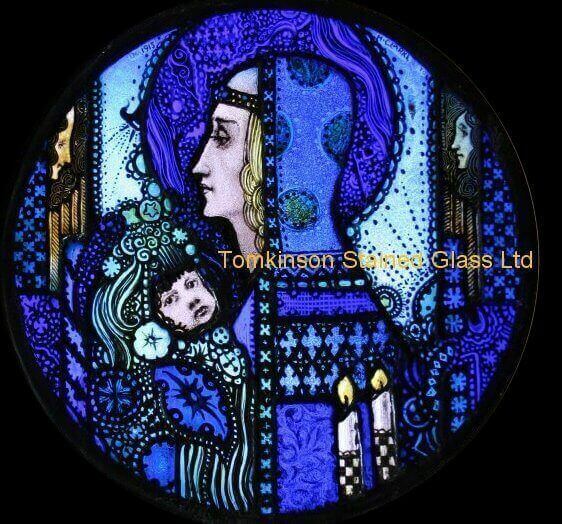 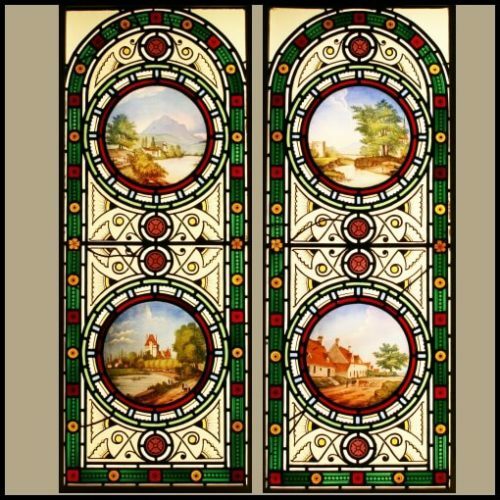 Very decorative window and in excellent original condition.